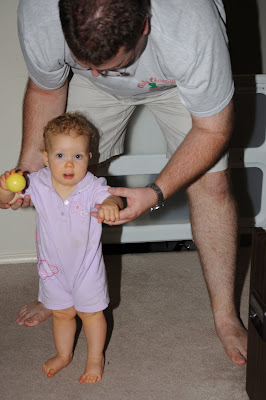 Rachel has been doing a great job of holding herself up in a standing position along as she has something to hold on to. Of course, Daddy is always a perfect thing to hold on to. This morning, we were in the kitchen making breakfast while Rachel was playing in her Pack N Play in the living room. I happened to glance over at her and found her standing up. 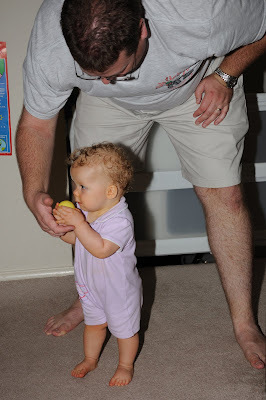 This was the first time she has pulled herself from sitting to a standing position all by herself!